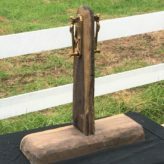 Tickets are $50 (+$3 PayPal fee) when purchased online. 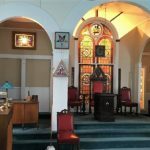 Contact SW Howard Snowdon (howardsnowdon@gmail.com) to obtain your ticket. 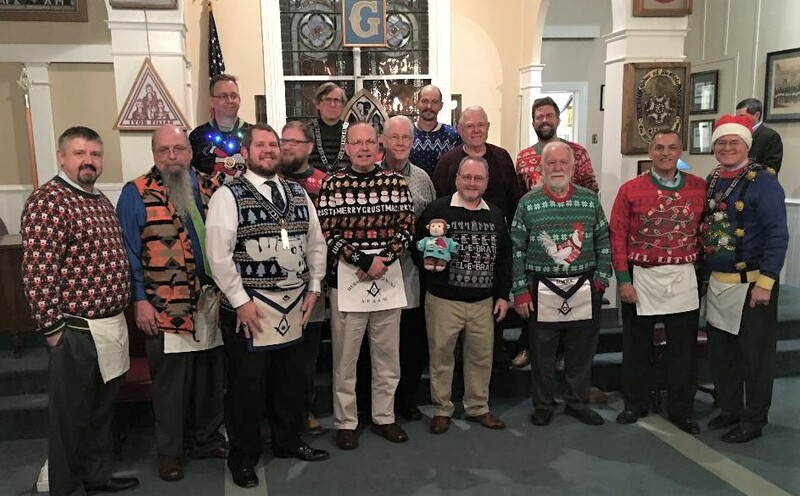 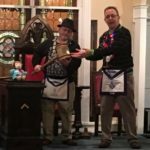 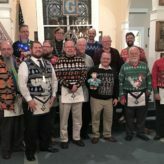 It was Herndon’s first meeting as a Lodge in District 2, Wardens Night, and ugly sweater night. 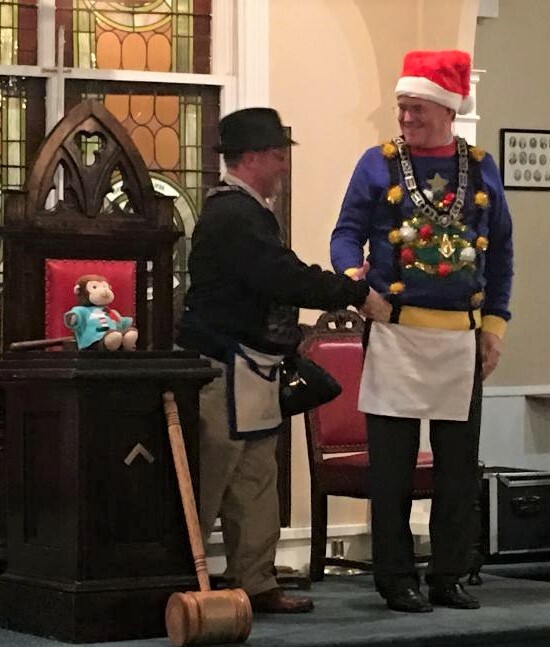 Senior Wardens from all District Lodges provided an overview of their Lodges. 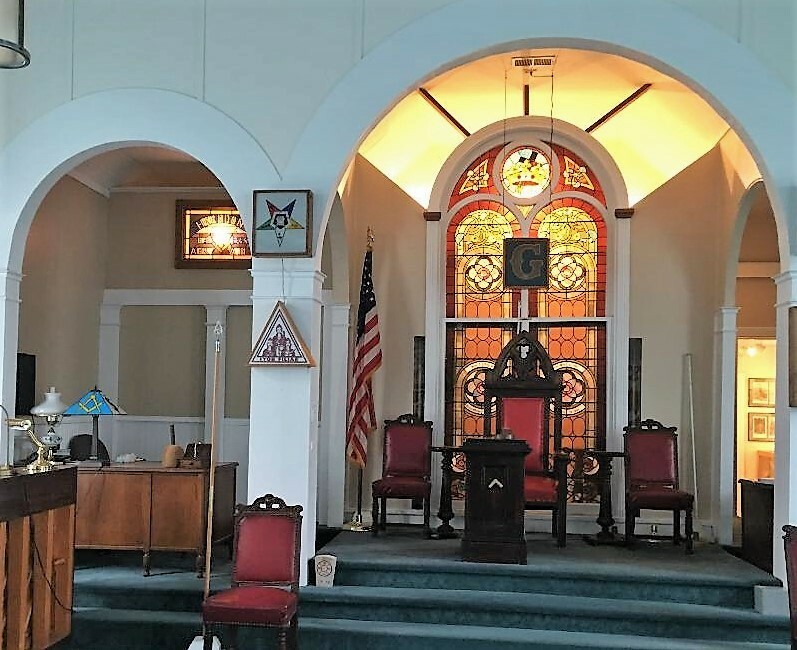 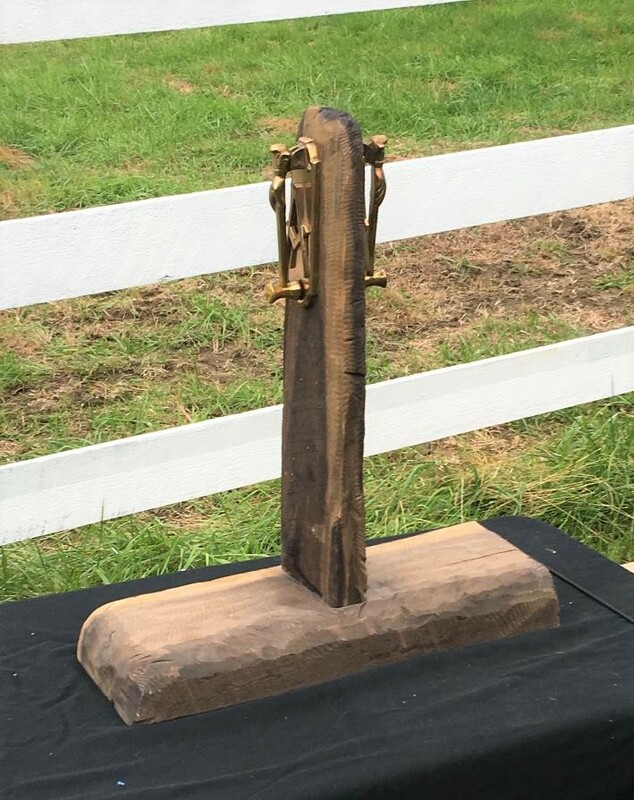 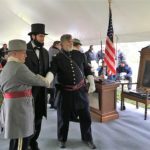 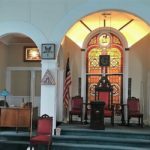 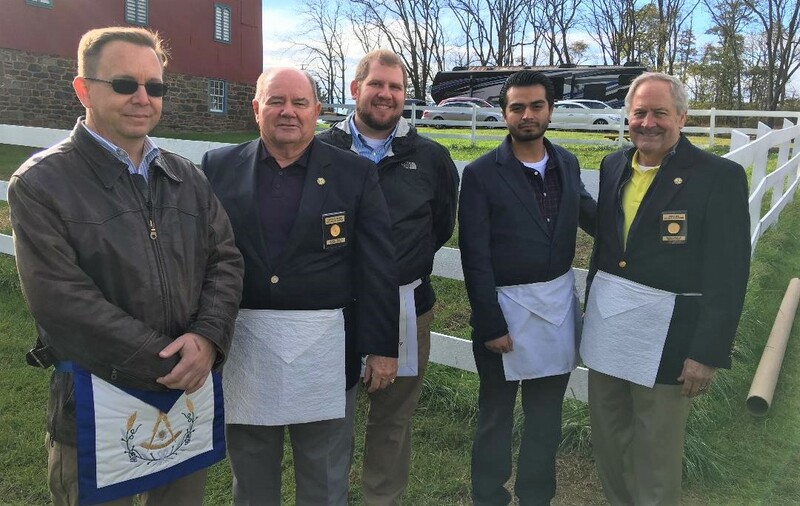 In the spirit of unity, members from both sides of the Mason-Dixon line came together to raise a new Master Mason on the hallowed ground of the Gettysburg Battlefield. 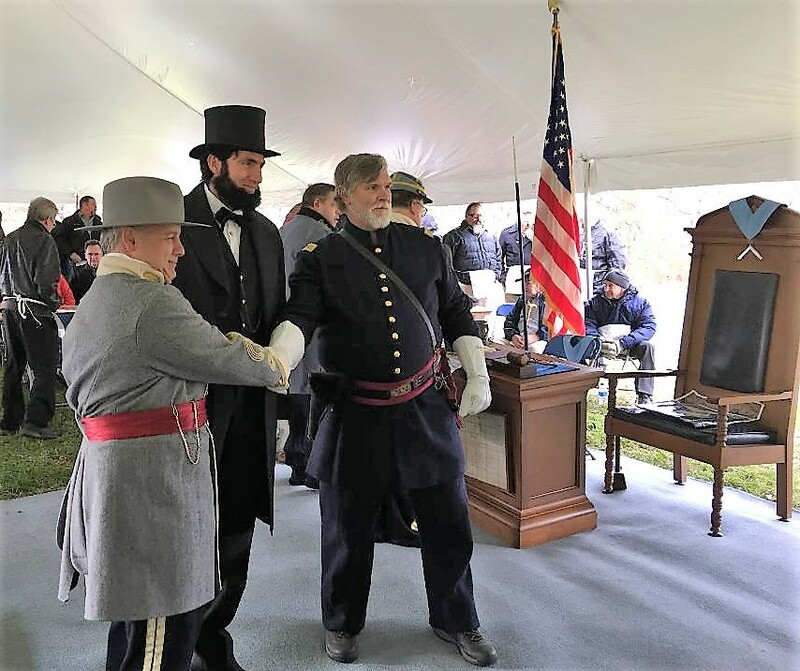 Over 300 were in attendance including members of Herndon Lodge and the Grand Master of PA.
Abe doing his very best to unite those around him. 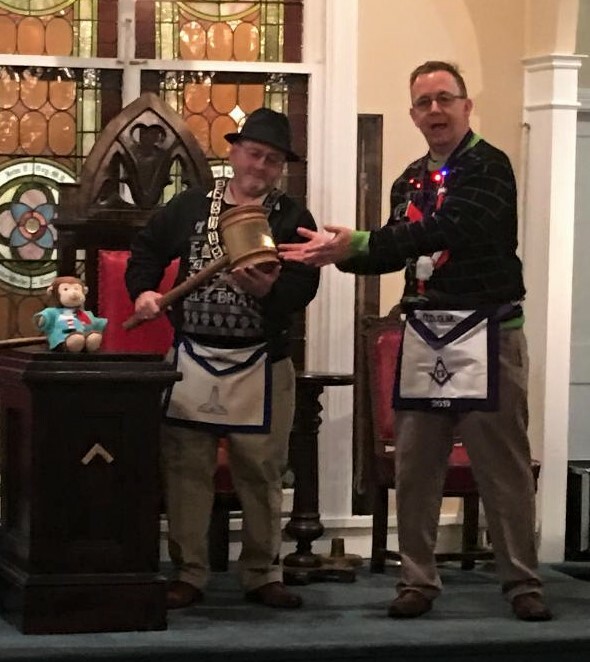 Brother David Harrison pondered all the updates that had been made to the Lodge this year while sitting in the Marshall’s chair. 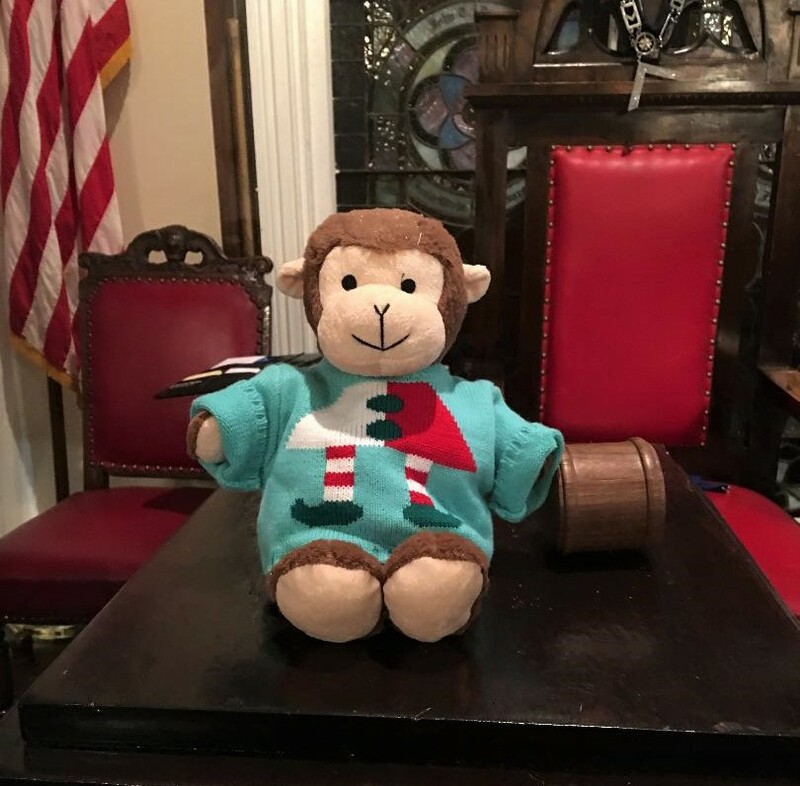 From his vantage point he looks directly at the Treasurer’s desk and he pondered why we he had to see the storage space behind the desk that was only partially hidden from view by a curtain. 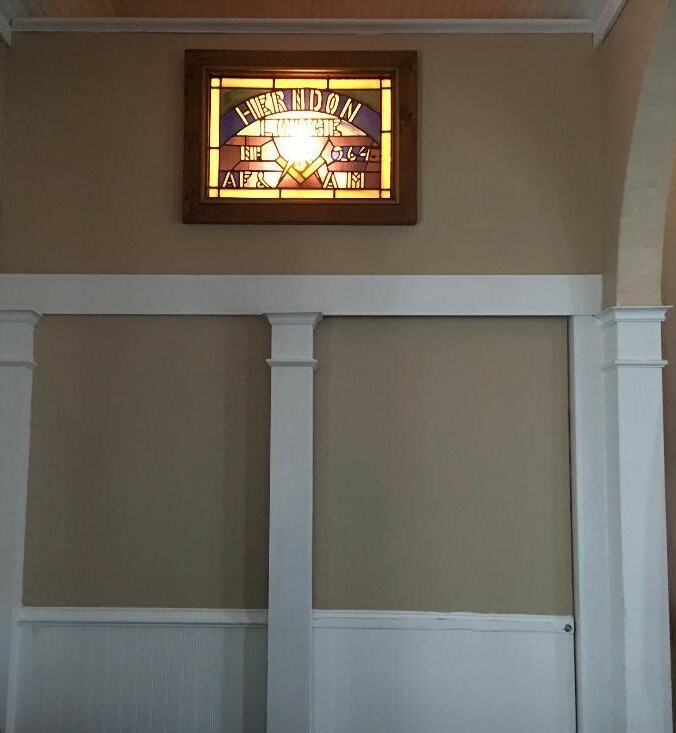 This thought lead to an idea – build a wall that includes a pocket door to block the view. This lead to action – Brother David built the wall! 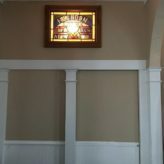 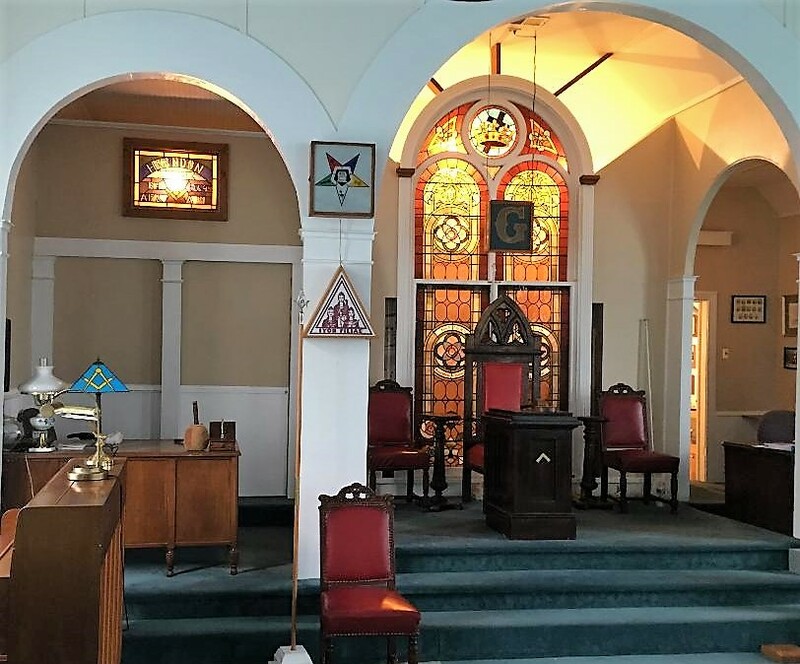 To literally crown the idea, he incorporated a back lit stained glass sign that has hung in Herndon Lodge since we met in the Ames building 50+ years ago. 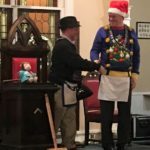 Well done Brother David!